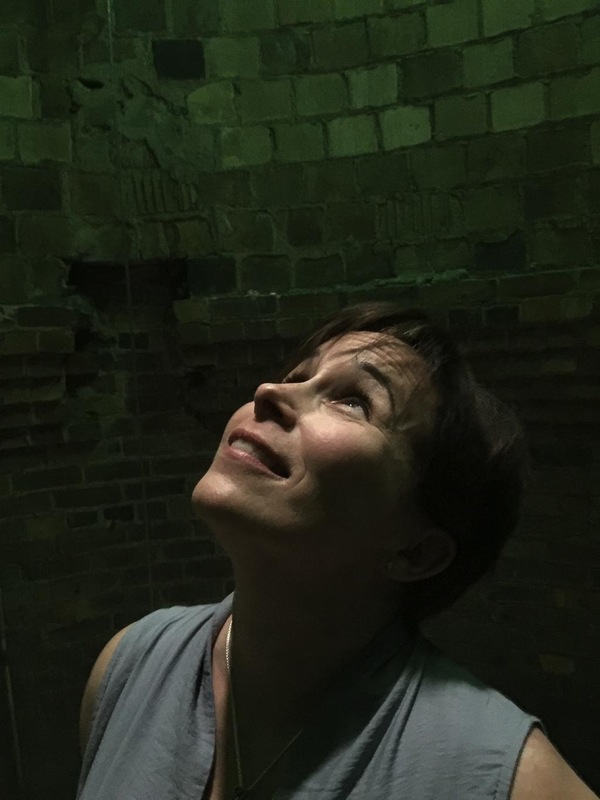 Who: Fran Wilde, whose short stories have appeared at Tor.com, Beneath Ceaseless Skies, Uncanny Magazine, and in Asimovs’ and Nature Magazine. Fran also interviews authors about food in fiction at Cooking the Books, blogs for GeekMom, and occasionally can be found at the Washington Post, Tor.com, Terrible Minds, and SFSignal. 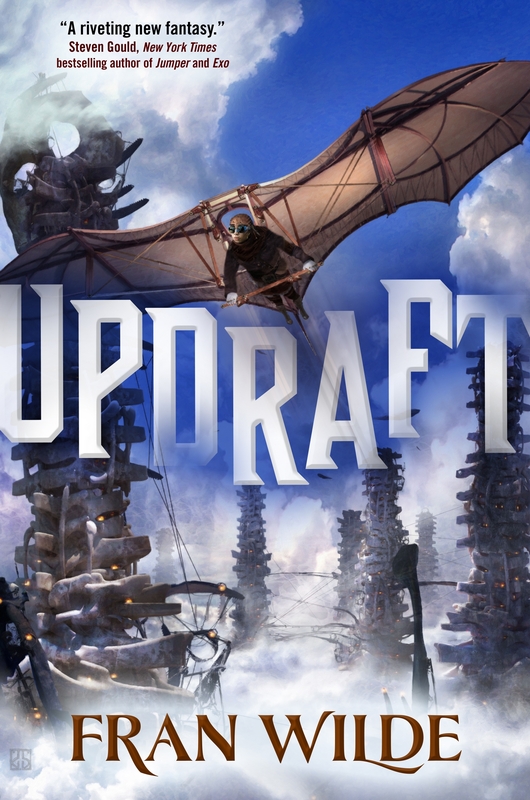 Fran’s first novel is Updraft (Tor 2015). Her novella, “A Jewel and Her Lapidary” will be published by Tor.com Publishing in May 2016, and her 2nd novel, Cloudbound (Tor 2016) will follow in the fall. Please give it up for Fran! Thanks to Ana and Thea for providing such a wonderful home on the interwebs for readers and writers and happy 2016 to everyone! 10. Book Plates – ones that look good enough to eat off of. I don’t have these, but I covet them. 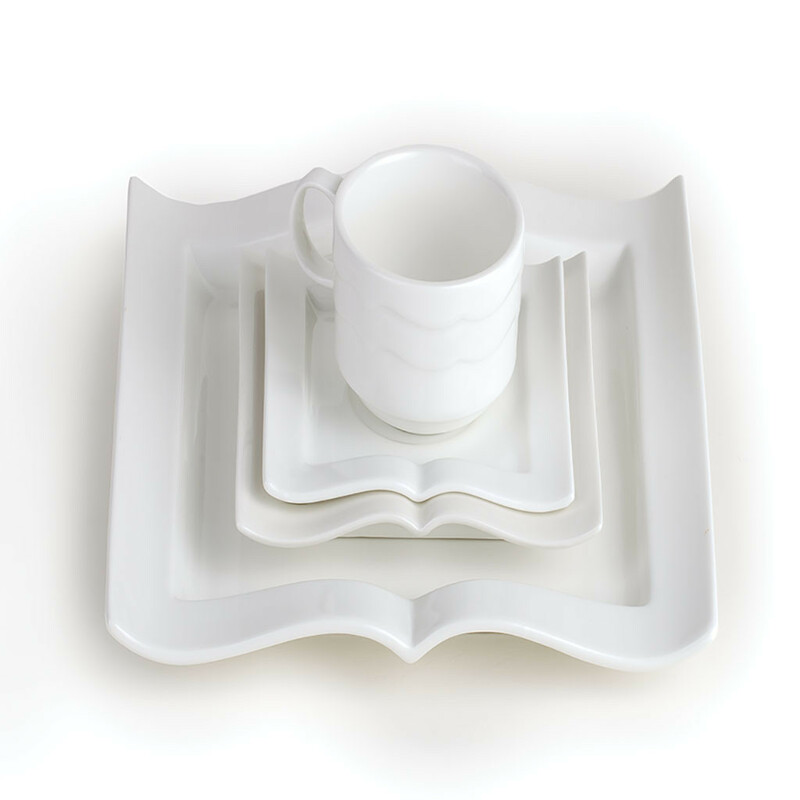 Best book discussion dishes ever, right? 9. Banned Book Socks. Library Socks. All the socks. I am pretty predictable in my sartorial choices (black and white with an occasional blue), but socks in the winter and necklaces year round are a particularly guilty pleasure. My favorites from this year are all from sock dreams with the exception of these banned book socks. Which, being black and white and (defiantly) read all over, win. 8. Ink – Especially this one. And this one. The ink goes in my favorite go-to pen – a TWISBI 580. So here’s the thing about writing by hand – it needs to be fun to keep me away from my friends on the twitter and facebook. Inks, good paper, and a great pen help with that. It’s also potentially an expensive habit, but I’ll tell you the secret: Goulet Pens has an ink-drop subscription that is cheaper than buying by the bottle. And ink lasts a long time. 6. Short fiction magazine subscriptions. 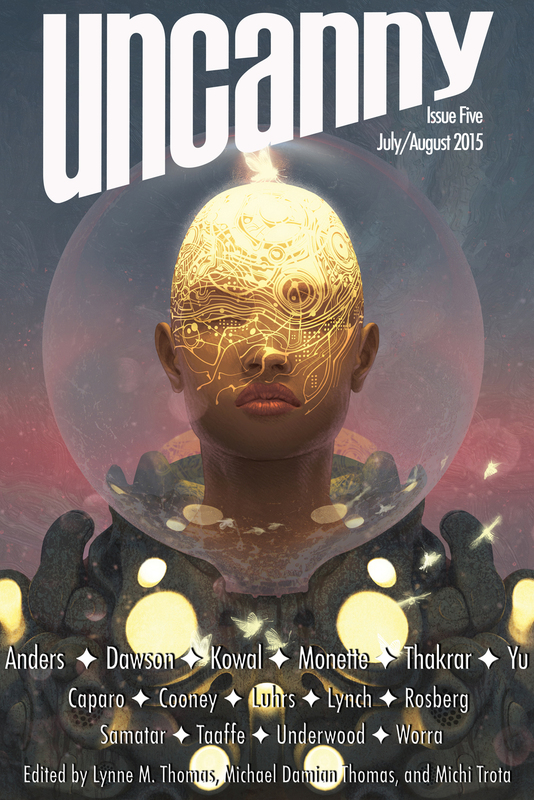 Uncanny, Asimov’s, Lightspeed, Beneath Ceaseless Skies, The Book Smugglers, Shimmer, & Clarkesworld for starters… Short fiction, for me, is both an inspiration and an outlet. I love writing and reading it. Even if I don’t get to all of it, I love the NEWNESS that comes through my gate every month. And while much short fiction is free to read online, supporting the publishers with subscriptions means it remains free, and new readers can find it. So, those are a few of my subscriptions above — what are yours? 5. Twelfth Planet Press Year’s Best YA – I loved the Kaleidescope Diverse YA anthology last year, came out last year, and their annual Year’s Best YA Speculative Fiction is among my favorite Year’s Best collections. Not quite book adjacent, more like book, but still a regularly-recurring good thing. I co-edited this cookbook with Cat Rambo, and it’s one of my favorite things of the year. Recipes from almost 150 SFF authors, editors, and agents. Custom honey badger illustrations from Ursula Vernon and MCA Hogarth. 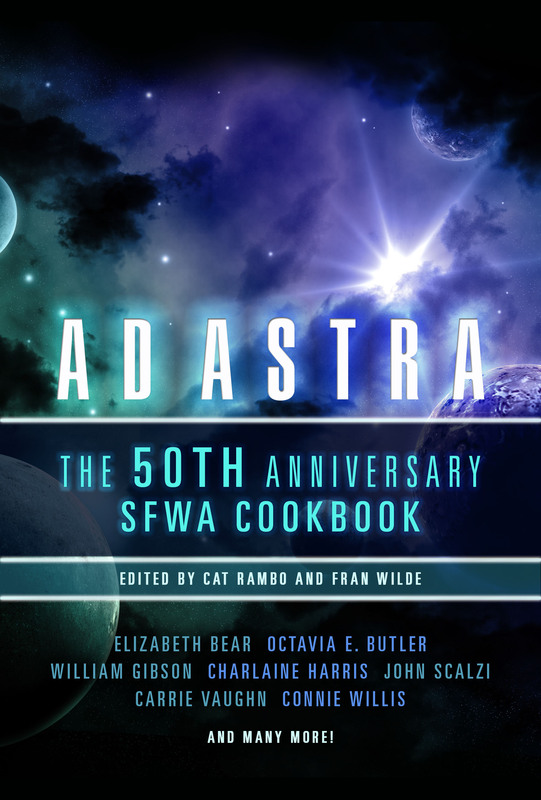 And besides containing great recipes and a wealth of sfnal history, the cookbook benefits the SFWA Legal fund, which helps other authors. Also, the first time I read Esther Friesner’s “At Mountains of Madness” fruitcake recipe, I sneezed coffee through my nose. 3. Ann Leckie’s Peepcillary Justice – Peeps. Ann Leckie. So many things I could say here, but this tumblr peeps for itself with machine-extruded sugary goodness. 1. The Parable of the Sower opera. Toshi Reagon has long been on my favorite vocalist list, but this year I got to watch her and a powerful cast of colleagues set Octavia Butler’s Parable of the Sower to music. I know Hamilton is huge right now, and justifiably. But if you have an opportunity to see this one in a small setting on tour, or hear a recording, do. I have been coveting those book plates for *years* – I love them so much! (Alas, I do not own them). Also, I’m so very much looking forward to your book ‘Updraft’ – it’s one of my most anticipated reads for 2016! I really like the book plates. I haven’t seen those before. I´m excited to get to read this book! I hadn’t come across the Peepcillary Justice pics until. Thank you for the laugh. The book plates I can now vouch for, they (or at least the small platter, which was on sale ::cough::) are pretty brilliant and now I want to host a book salon with tiny book cakes. Is there a way to get the cookbook that doesn’t involve Amazon.com? I love fashion rundowns and her writing, one more thing to read. @Mary Alexandra – yes, you can order from SFWA, I believe – double checking now. @Ju and Jenna – thanks! Updraft has been on my reading list since I heard about it last year. Didn’t have time to get to it in 2015, but 2016 will have to do! I am a shawl packrat. Thanks for the Ink Drops recommendation – I know someone who would love that. I need those dishes in my life. I saw Fran at Borderlands SF and the Writers with Booze event. The book sounds amazing! Updraft was definitely one of my favorite 2015 books. I looks forward to reading Fran Wilde’s new novel. I’ve been meaning to read Updraft for ages (I *almost* got to see Fran at an event in Boston in October, but life was too busy). It’s definitely on my tbr list for 2016! This book was on my TBR list anyway, but now that I know someone else geeks out over book plates, ink, and allll the socks… well, it has to be bumped up. I’m going to check out the cookbook. Cool links. Thanks for the chance at the book. Thanks for the chance to win Updraft. I am already too much into just books to be really into book-related things though when I look at… no, I won’t be tempted and plan to get some interesting items.